Dermato-epidemiology includes the investigation of causes, prevention, health services research and evaluation of interventions of skin diseases in human populations. EDEN consists of a Steering Committee operating under an Executive Committee. 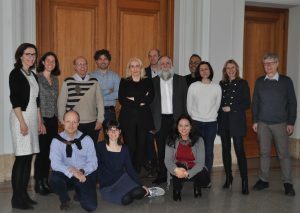 The Steering Committee consists of some participants and leaders of Project Groups. Interested colleagues are welcome to join a Project Group. Please, note that EDEN is not a society with a (paid) membership. It is a group of enthusiasts with a specific interest in the epidemiology of skin diseases, including clinical epidemiology, intervention studies & trials, prevention, and health services research. EDEN is currently having talks with the ESDR about having formal links. Interested colleagues, who have ongoing projects or are considering initiating such studies, can contact any steering group member (see the page Steering group).